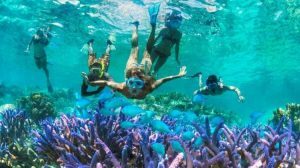 Hawaii to Ban Sunscreens that Damages the Coral Reef Oxybenzone/Octinoxate. Who would have thought that sunscreens will be lethal for corals? 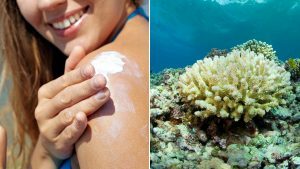 Believe it or not, Hawaii is just a step away to completely ban certain sunscreen products that are found detrimental to coral reefs. Initially introduced by Democrat Senator Mike Gabbard, Senate Bill No. 2571 is all-hope to take effect on January 1, 2021, once Democratic Governor David Ige agrees to sign his signature on it. When things turn out favourably, Hawaii will be the first in the world to get rid of 3,500 popular sunscreen products off their coasts and their state. To further understand the motivation behind this legal pursuit, let’s check things out in more details. Sunscreens are made for skin protection against harmful UV rays from the sun. Unfortunately, its effect on coral reefs is on the other way around. To say it bluntly, certain sunscreen ingredients can attack and kill corals. Oxybenzone and octinoxate are two toxic chemicals that are commonly found in sunscreens and aerosol sprays. In a recent study last 2015, these chemicals are believed to damage coral reefs to a certain extent that not everyone is ready to hear. Going in for the worst, it only takes 62 parts per trillion of these chemicals to cause considerable damage to corals. That concentration is equivalent to only a single drop of water in 6.5 Olympic-sized swimming pools! No wonder why Hawaii is all set for the bill, for their beaches are found to be 22,000 times higher than this concentration. “So, Hawaii is definitely on the cutting edge by banning these dangerous chemicals in sunscreens,” stated Gabbard to Honolulu Star-Advertiser. With approximately 14,000 tons of sunscreens being washed off in the oceans annually, how much damage do you think are we referring here? Well, researchers estimate that about 15% of the corals worldwide are believed to be affected by sunscreen chemicals. With all the fuss about the grave threat of widespread coral bleaching for the last two years, our corals may not be able to recover in time. The damage we’re dealing here is not as simple as eating peanuts. These sunscreen chemicals can kill corals in more ways than we expected. Whether you directly introduce the sunscreen molecules by swimming into the beach or simply washing it off down your drains, these toxic chemicals will eventually end up polluting the oceans. So, we can start the list by the way sunscreen chemicals bleach the corals. Once in the water, the chemicals will infect the symbiotic algae that feed the corals and causing the dormant viruses in algae to exponentially multiply. When this happens, the corals will instinctively get rid of the algae that also provide them with rainbow-coloured pigmentation, and leaving them a sickly pale white appearance. This makes the corals be highly susceptible to diseases and with not enough food to eat, these corals will surely die. Second is the way sunscreens deform young coral polyps. Young corals are found to be more affected by oxybenzone and octinoxate. And when the succeeding coral generation dies, there’s no more future to talk about. The third one is the way how these chemicals alter the behaviour of corals. If you’re done reading Drugging the Water, you’ll understand how chemicals can negatively change the behaviour of certain marine species, like the fact about feminized fish. In corals, however, oxybenzone can produce a strong hormone disruptor which makes corals produce too much calcium carbonate to the extent of covering themselves by their own skeletons, and eventually dying in the process. Finally is how the toxic chemicals damage the corals’ DNA, destroying their ability for successful reproduction. Even though corals only take less than 1% of the sea floor, the percentage of marine life they support is over 25% of the world’s entire aquatic species. Considered as a rival for tropical rainforests on land, coral reefs are literally one of the world’s most productive and diverse ecosystems ever known! 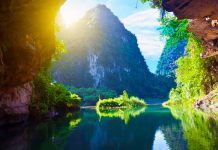 Furthermore, losing the corals will also mean losing the 9.9 trillion dollars-worth of its global economic value from tourism, food, biomedical products, and coastal protection. Global stressors are already overwhelming us like global warming and climate change. Local stressors, on the other hand, like sunscreen pollution, is something we can tackle easily. To give corals more time to adapt, change, and recover, we can choose to avoid products without oxybenzone and octinoxate or simply wear long sleeve rash guards when swimming. We have a lot of alternatives in store. Little things like that are collectively a huge movement when done together. Don’t let the reefs to continue being at risk. Let’s join Hawaii in saying “no more” to oxybenzone and octinoxate products.